Guts Casino has taken measures into their own hands to postpone the inevitable Monday melancholy, thanks to the ongoing Blues-Be-Gone Weekend Hangover Cure. From now on, any time you play live dealer blackjack at Guts.com on a Friday, Saturday or Sunday, you’ll be able to ease back into the weekly grind by receiving cashback on your live dealer wins and losses come Monday. 1. Sign into your Guts Casino account and make an AUD deposit in order to access live dealer games, which are only available for real money play. If you’re new to Guts, register using our links to claim up to $400 in welcome bonuses plus 100 free spins on Starburst pokies. 2. Play live dealer blackjack or any of the other live dealer games from Evolution Gaming at Guts on a Friday, Saturday or Sunday. For Australian players, this means to qualify you’ll need to play between 10AM (AEST) on the Friday and 9:59AM the following Monday. 4. Every Monday, Guts will then automatically credit your account with a 10% rebate for any live dealer losses over the weekend, up to a value of $100, or a 5% rebate for any live dealer wins up to a value of $50. All Blues-Be-Gone rebates are subject to a 5X wagering requirement before cashback money can be withdrawn. Check the full terms and conditions of this promotional offer at Guts.com for further details. Guts hosts a large collection of premium live dealer casino games from leading software developer Evolution Gaming, including live 21, live roulette, live baccarat, live three card poker and live casino hold’em. Evolution Gaming is an innovator in live casino gaming, hosting exquisite games from high-end casino studios in Latvia and Malta. 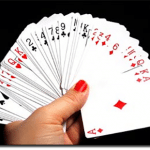 All games are hosted by professionally trained, well presented croupiers who exercise the same level of knowledge and expertise as dealers you’ll find in a land based casino. Evolution games are streamed using high-def video links, with fully customisable audio, video and game view options. Guts Casino uses an instant-play format, which means games can be accessed directly over your Web browser without the need to download any software. 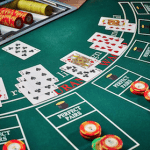 Due to this browser-based format, live dealer games are available on all devices including PC, Mac, laptop, smartphone and tablet, with Guts being one of the only mobile casinos to offer portable live dealer gaming. 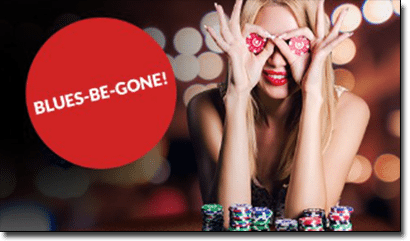 Sign up at Guts.com and opt-in for the Blues-Be-Gone rebate today to enjoy a saving grace at the end of each weekend you play live dealer blackjack.